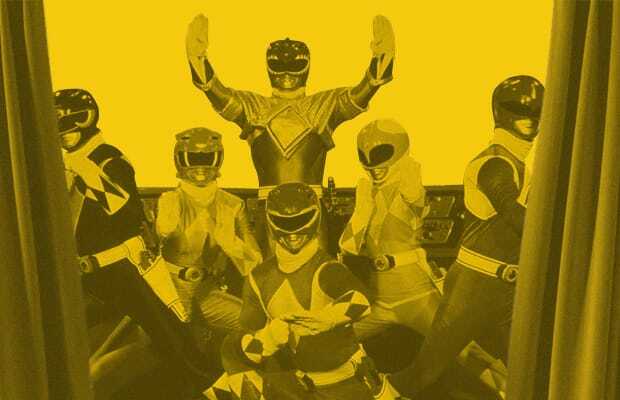 The Oral History of the "Mighty Morphin Power Rangers"
Waking up for Saturday morning television is a pastime passed on from one generation of children to the next, with each generation defined by its particular lineup of shows. Children of the '90s had a lot to choose from but one show stood out from its peers: Mighty Morphin Power Rangers. Based on Japan's Kyōryū Sentai Zyuranger series, Mighty Morphin Power Rangers became a success with kids across America after debuting on August 28, 1993, on Fox Kids. The series, created by Haim Saban, starred Austin St. John as Jason Lee Scott, the Red Ranger; Walter Jones as Zack Taylor, the Black Ranger; David Yost as Billy Cranston, the Blue Ranger; Thuy Trang as Trini Kwan, the Yellow Ranger; Amy Jo Johnson as Kimberly Ann Hart, the Pink Ranger; and Jason David Frank as Tommy Oliver, the Green/White Ranger. Supporting cast included Paul Schrier and Jason Narvy as school bullies Bulk and Skull; Carla Perez/Barbara Goodson as the evil Rita Repulsa; Ed Neil/Robert Axelrod as Lord Zedd; David Fielding/Robert Manahan as the Rangers' leader Zordon; and Richard Steven Horvitz as Zordon's sidekick Alpha 5. Mere months after the premiere, MMPR had captured the highest Nielson ratings at the time for a network children’s TV show, receiving a 12.5 rating with children between the ages of two and 11. By 1994, the Power Rangers’s share of the market for action figures had jumped from four to 40 percent in little more than a year, earning approximately $1 billion. The perfect storm of show, toys, and other merchandise made it so that even when the show's 22 minutes were up, a kid could recreate what had just happened, or imagine a new adventure, with ease. Over-the-top explosions, larger-than-life robots and monsters, teenagers with incredible super powers, and a theme song like an adrenaline shot to the chest—MMPR had everything. It was a for-kids, live-action drama that combined the slapstick comedy of Looney Tunes with the never-ending destruction of Godzilla. Twenty years later and most of us who grew up with MMPR are in our '20s and early 30s. Revisiting the series now may not have the same hypnotizing effect, but it's still hard to turn away from a screen showing Rita Repulsa freeing herself from a space dumpster, or the Rangers combining their Dinozords to create the one Megazord. In celebration of the Mighty Morphin Power Rangers turning 20 this year we spoke to several people involved with the show, including some of the Rangers, villains, allies, and producers. Some of the responses may surprise you as we discuss everything from the challenges of making a Japanese show into an American one to the allegations of racist casting. Pour yourself some cereal and milk and put on that theme song—it's time to revisit one of the most iconic kids shows of all time. Note: David Yost, who played Billy Cranston, and Walter Jones, who played Zack Taylor, could not be reached to comment.